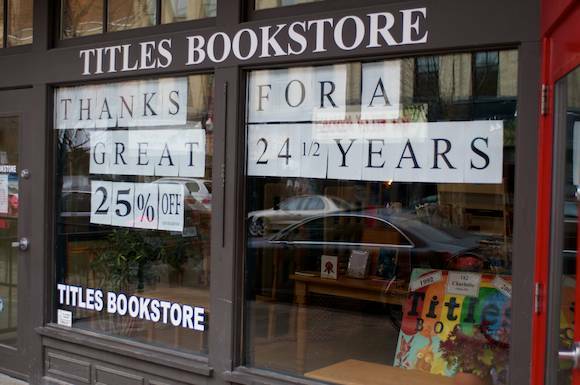 With the recent news of Titles Bookstore closing, they are now bidding Peterborough a "Thank You for 24 1/2 years" by offering 25% off all books (excluding ones already on sale). There are updated hours as well as they are now open 9:30 a.m. to 5:30 p.m. Monday to Saturday. We still have lots of Moleskine notebooks! And 18mo Planners. All 25% Off!